Did you know that you can drop at any Biome store personal care and cosmetics packaging, toothpaste tubes and toothbrushes, wine corks, pens and markers, and CDs* for recycling whether purchased from us or not? 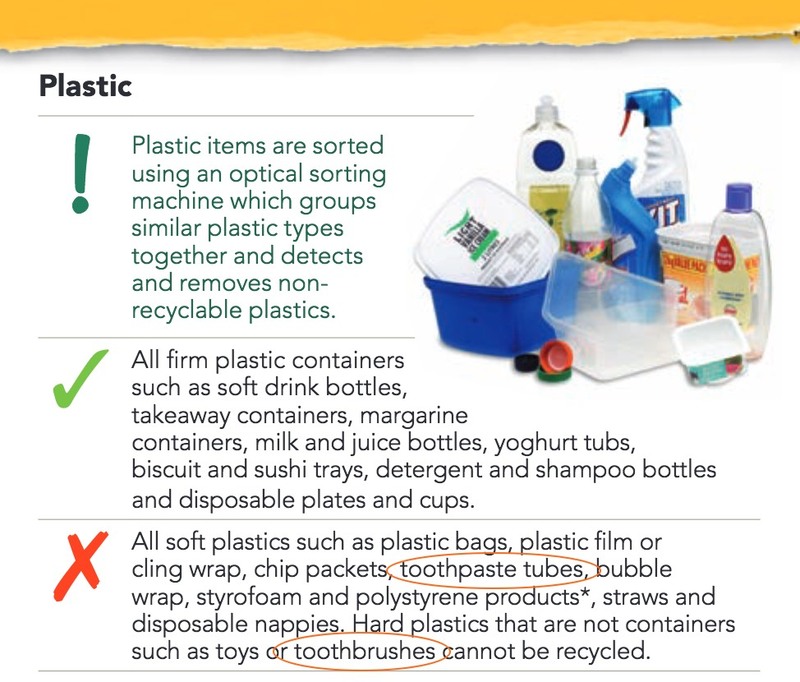 These are all items that can not be placed in your household recycling bin, so to save you the worry of what to do with them, we look after it for you! We now also take good coat hangers at our Paddington and Balmoral stores, see more below. Because at Biome we are committed to operating as zero waste as possible and reducing plastics ending up in our environment, you can also leave with us the packaging from any item you buy in store and we will recycle it for you including soft and hard plastics. All containers must be completely cleaned out for us to take them from you. 1. Cosmetics e.g. lipstick, lip gloss, mascara, eye shadow, bronzer, foundation, eyeliner, eye shadow, lip liner, and concealer packaging. 2. Hair care e.g. shampoo and conditioner bottles and caps, hair gel tubes, hair spray and hair treatment packaging. 3. Skin care e.g. lip balm, moisturiser, body wash, soap dispensers and tubes, body and hand lotion, tubes and shaving foam packaging. We send the packaging to TerraCycle, who clean and melt into hard plastic that can be remoulded to make new recycled products. With credit to L’Oréal Australia and its brand Garnier for sponsoring this program. Before you leave the store with your purchases, feel free to take off the packaging and leave with us whether it be soft or hard plastic and cardboard. We send all soft plastics to RedCycle. We work with our suppliers to have them stop using plastic packaging in the first place. For individuals or householders (not businesses sorry*), bring all your empty pens, markers, highlighters and old pencils to a Biome store and we will send them to TerraCycle for recycling. You can also post them to us: Biome, 51 Douglas Street, MILTON QLD 4064. All toothpaste tubes must be completely cleaned out for us to take them from you. Many people do not realise that toothpaste tubes and toothbrushes must not be put in your Council recycling bin. But now, rather than throw them in the rubbish and off to landfill, bring them to Biome for recycling via TerraCycle. At TerraCycle they are shredded and melted into hard plastic that can be remolded to make new recycled products. With credit to Colgate for sponsoring this program. We can accept: empty toothpaste tubes and caps, toothbrushes, toothbrush and toothpaste tube outer packaging, and floss containers. No Electronic toothbrushes and electronic toothbrush parts allowed. Cork is derived from the bark of the cork oak tree grown in the western Mediterranean region, and must be 25 years old before its first harvest. It is harvested sustainably and actually helps to protect vulnerable cork forests by making them financially viable rather than clear felling for other agriculture. Therefore, we encourage you to actively choose wine bottles with corks! 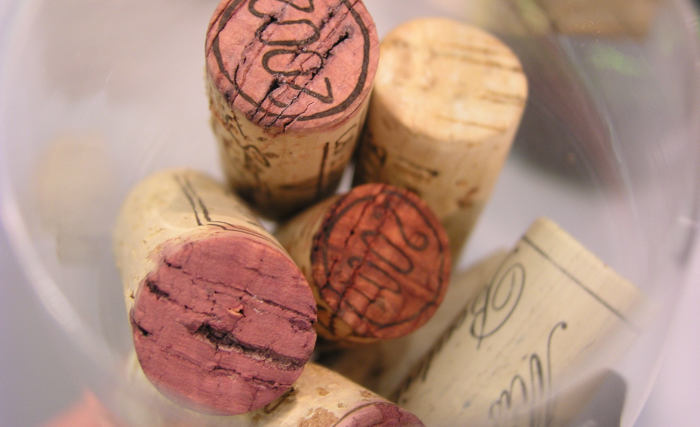 Recycling cork keeps it out of landfill and saves resources and carbon emissions. We have accepted corks for recycling since we opened our first store in 2005. Corks are given to various organisations that put them to use. For individuals or householders (not businesses sorry – see below*). Records, 8-track tapes, cassette tapes, CDs, DVDs, Blu Ray discs, floppy disks, memory sticks and external hard drives… We will accept for recycling via TerraCycle any object capable of storing data, audio and/or video, in analog or digital format. However, no actual media players or batteries. TerraCycle breaks down the components and metals are melted to be recycled and plastics undergo extrusion and pelletisation to be made into new recycled plastic products. As part of Biome’s mission to be part of a sustainable fashion industry, we’ve created a coat hanger exchange at Biome’s Paddington and Balmoral stores where you can drop off clean coat hangers (except dry cleaning hangers*) that are in good working order for others who need them. For those who need coat hangers, you can take up to six hangers per person. It’s early days, however, so we can’t promise how many hangers will be available when you drop in. Keep an eye on Biome’s Facebook for updates. *The coat hangers you drop off must be clean, no rust and not broken. We do not accept dry cleaning hangers as they should be returned to the dry cleaners. Please note, that we used to take bras that were sent by Project Uplift to women in developing countries. However, Project Uplift has put a hold on its program at the moment, so we can not accept bras at this time. Biome sells a range of TerraCycle zero waste bins to suit your needs. Choose bins for recycling coffee capsules, office supplies, pens, snack wrappers, mailing labels, tape, CDs and more. I work for a recycling company and do quite a bit of research on recycling, mainly printer cartridges but I actually learned something new from your blog today, I didn’t know that you could actually recycle cork from wine bottles, I usually recycle the bottle and bin the cork, can I put the cork in the bottle bin with the bottles or is it a separate waste stream? Interesting blog, thanks for sharing..
Hi Michael! Thanks for commenting. To answer your question, cork cannot be recycled through your regular curbside collection in Australia. 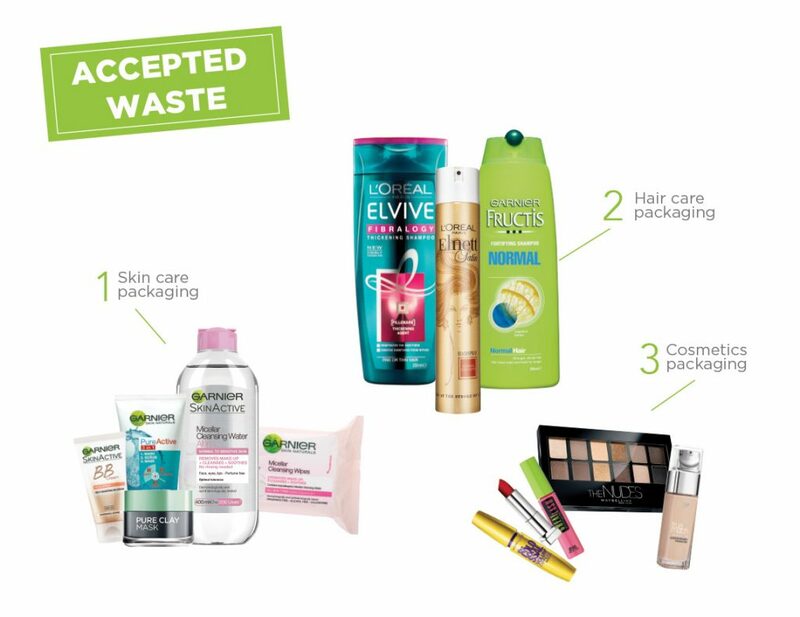 So you can either drop a bag of them to our stores once you have collected a few and we’ll pass them on to be recycled, or if not local to our stores you can search recyclingnearyou.com.au for a closer drop off point. I have just cleaned out one of my kitchen drawers and now have a bag full of corks that I had been saving for recycling. Is it okay to post them to you? Yes, of course! Please post them to 1/51 Douglas Street, Milton QLD 4064. Thank you! Wonderful to know there’s a recycling option for some items most wouldn’t think to recycle. Do you have any stores in Sydney? If so, where? We don’t have any physical stores in Sydney, sorry, but you can post items to be recycled to us at 1/51 Douglas Street, Milton QLD 4064. We have four stores in Brisbane (Brisbane City, Indooroopilly Shopping Centre, Paddington and Balmoral) and an online store here > http://www.biome.com.au. I am trying to minimise the number of products I buy with plastic packaging but obviously that is impossible. After reading your blog I was wondering if it would be possible to post mixed bags of items e.g. shampoo and conditioner bottles and soft plastics? With only my husband and myself at home now we don’t create a lot of “non-recyclable” items so it would take me forever to fill one of your boxes. Hi Susan, you’re welcome to post these items to us. Thank you for this! I have a question about the blister packs that tablets/medication come in, are they recyclable anywhere? Not that we’re aware of sorry. Please clean them out before sending to us. You can cut them up into pieces if you need to. Thanks! Hi there, in regards to completely washing out cosmetic items I’ve seen your answer about cutting them to wash them is ok to do but what about tricky items like mascara? I am in Sydney and not found anyone to take old CDs/DVDs. Can I post them to you?